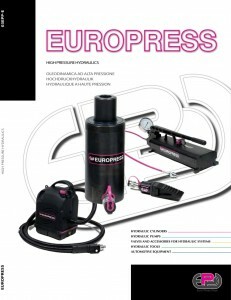 Europress is a major manufacturer of high pressure hydraulics. 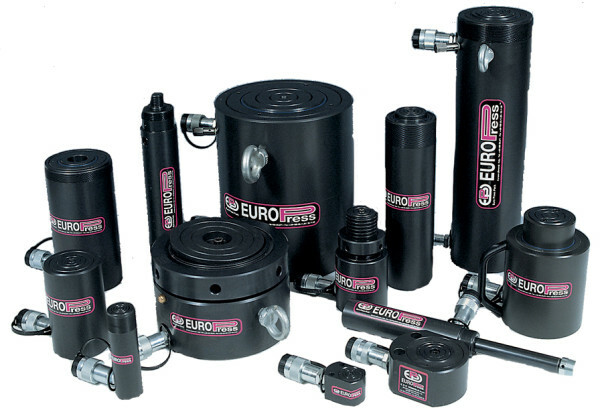 Europress products are designed for a working pressure of 700 bar (10000 PSI) or more and consist of hydraulic cylinders, manual and motor driven pumps, valves, hydraulic tools and various accessories for hydraulic systems at such working pressure. Fields of application are the heavy industry, the construction Companies (Civil works), mechanical maintenance, small tools like crimpers for fittings or terminals and in general all the cases where portability is a must and high forces are required.